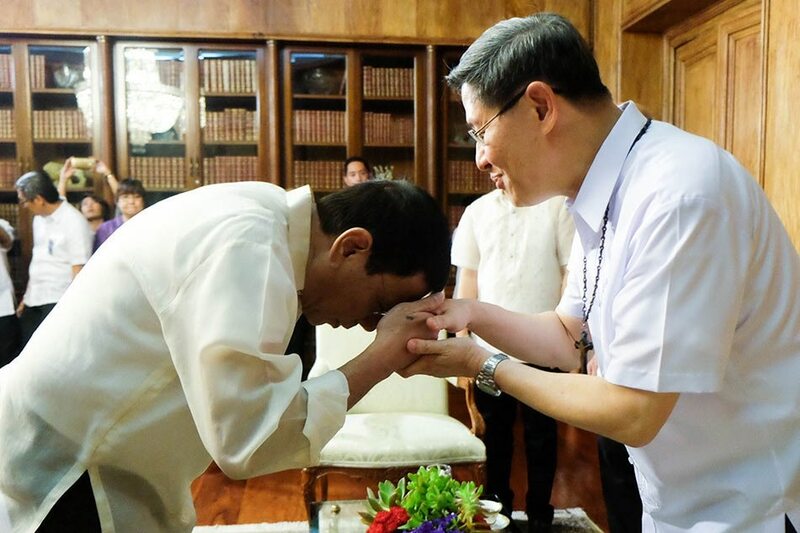 MANILA - Malacañang on Tuesday maintained that President Rodrigo Duterte is not a bully, even as it denied feeling alluded to by a recent comment by Manila Archbishop Luis Antonio Cardinal Tagle. Tagle had said in a recent Simbang Gabi homily at the Manila Cathedral that people should not use power to disrespect people and coerce others. Presidential Spokesperson Salvador Panelo said he agrees with Tagle, but he stressed that the chief executive is no bully. “I agree, but who does he refer to? Because those in power would also apply to those in the Church. If you use the pulpit to bully people, then it’s the same. If the message is in generic terms, then I agree,” Panelo said in a Palace press briefing. The prelate did not mention any political leader during his message, which quoted Saint Paul's advice on how to achieve happiness. The Catholic Church, however, has been the subject of President Rodrigo Duterte's repeated tirades, after some clergy members criticized his anti-narcotics crackdown and policies against criminality. The President in separate instances this year called God "stupid", questioned the story of creation in the Bible, and suggested that people should no longer go to church. The tiff between Duterte and some Catholic leaders recently intensified after the President said “useless” bishops should be killed.